The team at Applewood Interiors would like to thank our web promotion partners Trade Window Services Ltd, for this opportunity to inform customers about what we offer. One thing we have in common with Trade Window Services Ltd, is a dedication to customer service and satisfaction. We design, supply and fit a comprehensive range of quality curtains, soft furnishings, upholstery, pelmets and awnings. We are delighted to assist and advise whenever possible and can guide you through our extensive collection to discover the perfect look for you. Our made to measure curtains are available in a wide selection of enticing fabrics, such as damask, velvet, toile, linen and brocade. You are sure to find the effect you desire with every shade under the sun, from hot vibrant reds and elegant burgundies to cool soothing greens, blues and lemons. Bespoke curtains from Applewood Interiors can include a range of linings, such as standard, inter or blackout lining for a superior drape and extra privacy and warmth. We also have a great selection of curtain poles, tracks, cords, tassels, tie-backs and accessories to suit your every requirement. Bespoke Range of Co-ordinated Soft Furnishings, Upholstery & Curtains Brentwood, Essex. Applewood Interiors offer a complete bespoke service in the Essex area, including expert consultation, planning, design, measuring, supply and fitting. Our team have a unique eye for exquisite interior design and are proud to have an extensive history of customer recommendation. Our clients include domestic customers, restaurants, care homes, doctors and dentists and health and fitness clubs. When you call in Applewood Interiors you can be sure of an awe inspiring home or office transformation. We will work with you to develop your ideal home makeover, or present you with a number of stunning options, the choice is yours. With our low prices you can go all out to get the results you desire. Our made to measure curtains come in a selection of choices like classic 3″ pencil pleat, pinch pleat, informal tab tops and eyelet heading. Dramatic drapes and sophisticated voiles can make a striking impact, and with the addition of co-ordinating upholstery, cushions and other soft furnishings the effect is inspiring. Applewood Interiors understand the importance of a professional finish and are dedicated to providing this every time. Blinds in all Styles, Colours & Designs from Brentwood, Essex. A well made fitted blind can raise the profile of every room in your home whether its the dining room, living room, bathroom, kitchen, bedroom, utility room or conservatory. We are able to give each room its own individuality or alternatively we can create a custom designed theme throughout. Blinds come in styles like roller, vertical, Venetian, pleated and wood weave, each having its own unique characteristics and advantages. Precisely measured and expertly fitted blinds offer a luxurious finish, giving your home that distinctive edge, and Applewood Interiors can tailor your new blinds to compliment your redesign or existing décor. We have an intuitive interior design ability and know what our customers love, which means striving to give our customers the home of their dreams. We deliver high quality blinds in a selection of gorgeous colours and designs, incorporating reliable and smoothly operating mechanical components for lasting performance. We also offer popular names such as Perfect Fit and Velux blinds for increased customer choice. Your home transformation can be further enhanced with the addition of a custom made pelmet. These can be designed to echo the theme of your home and will add flair to your windows, giving a spectacular feel. With Applewood Interiors competitive prices you wont have to compromise and can even change your colour scheme or style as often as you wish. Applewood Interiors keep up to date with all the latest interior design trends, and can bring lots of fresh new ideas. A pelmet will actually add a practical and eco-friendly element to your environment, by deflecting warm air back into the room, ultimately lowering your fuel bills. A design alternative is offered with our range of striking lambrequins, providing style and extra insulation. With a range of extremely attractive awnings Applewood Interiors help to extend your home into the garden area. 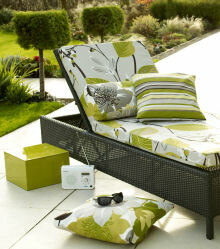 A whole new outdoor living experience is possible with our exciting selection, produced to your specification. Awnings provide a variety of flexible options for you, adding style and interest to your surroundings, as well as offering a highly functional solution, allowing maximum enjoyment of your garden all year round. Awnings afford protection from the elements when relaxing or entertaining, and can be fitted with lighting and heating for added comfort. Applewood Interiors are specialists in making your house a home, or even a palace! Call us on 01277 200203 or visit our website and feast your eyes on what we have to offer. 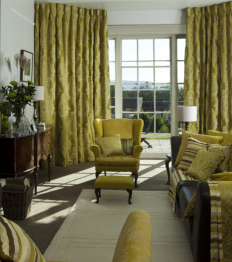 Quality Made-To-Measure Curtains, Blinds & Soft Furnishings in Selection of Fabrics. Bespoke Range of Co-ordinated Soft Furnishings, Upholstery & Curtains in Brentwood, Essex. Blinds in all Styles, Colours & Designs, Venetian, Vertical, Roller, Pleated, Wood Weave, Velux, Perfect Fit Blinds, Brentwood, Essex. Thermally Efficient Custom Designed Pelmets, Lambrequins & Awnings for Outdoor Living & Home Extension. Brentwood, Chelmsford, Leigh on Sea, Billericay, Essex.